Whether its art or journalism, there is a fascinating visual record of our changing society and landscape captured in photos and paintings. Wehave a collection of over 2200 photos depicting the people, buildings and landscapes of Nova Scotia’s industrial past. 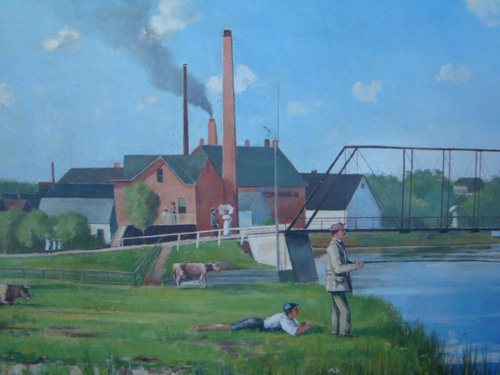 The Museum has built a small collection of paintings depicting industrial themes including a set of 12 paintings by Halifax artist Joseph Purcell illustrating Nova Scotia gold mining areas as they would have looked in the nineteenth century.